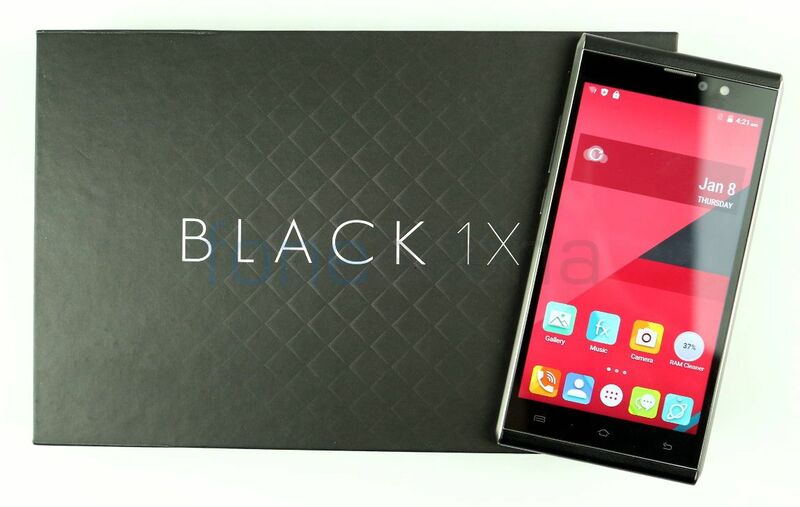 Xolo launched BLACK 1X, the company’s latest smartphone in the BLACK series last week. 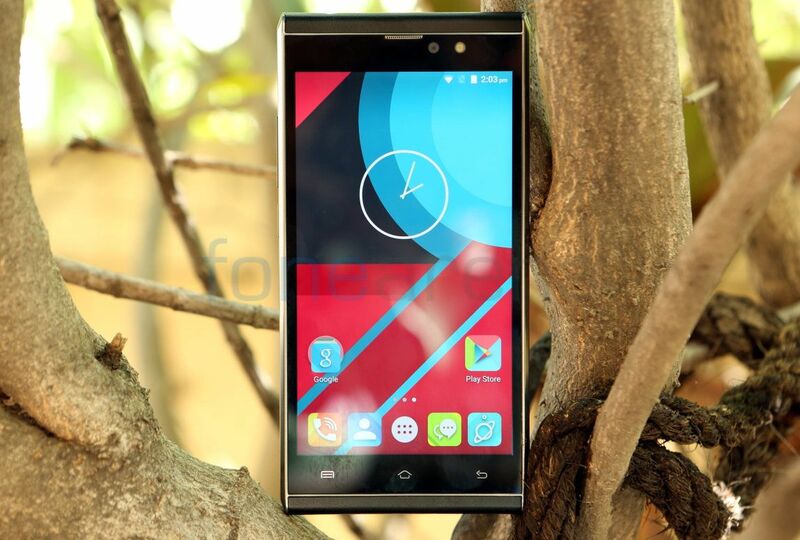 It is the first Xolo smartphone to come with 3GB of RAM. 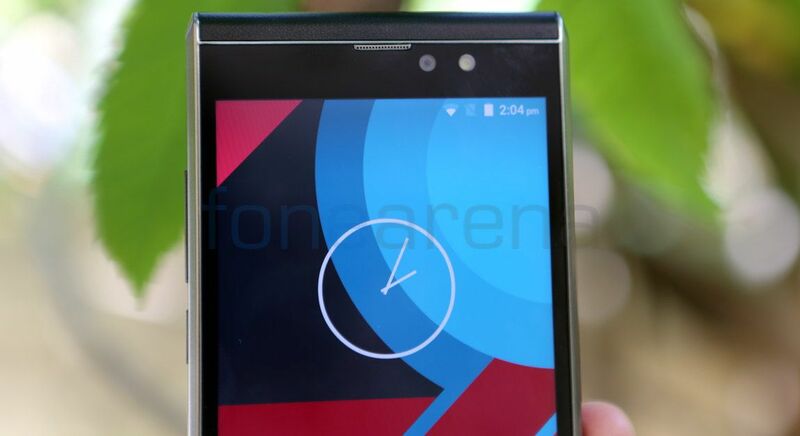 It also has a 1080p display and comes with 4G support, similar to most of the smartphones in the similar price range. Is the smartphone worth the price? Let us find out in the complete review. 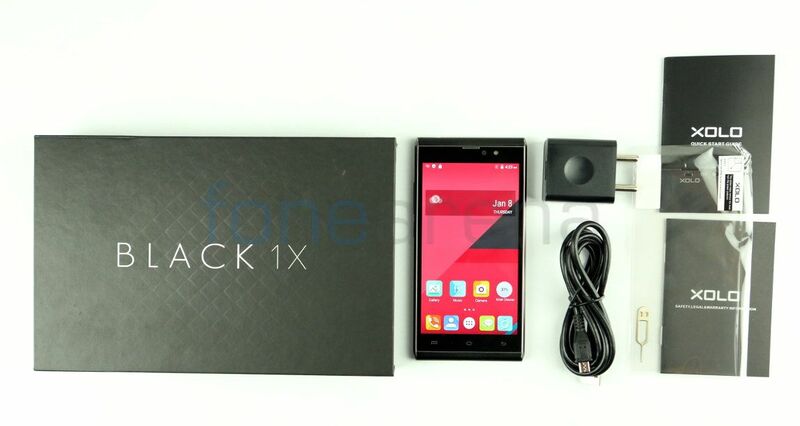 We unboxed the Xolo BLACK 1X recently, check out the video below. The 5-inch on-cell full lamination display with a resolution of 1080 x 1920 pixels and a pixel density of about 441 PPI is good. It is bright and offers vibrant colors since it has 80% NTSC color gamut. Viewing angles and the sunlight legibility are good too, but the display is a bit glossy and is prone to fingerprints. It also has Asahi Dragon trail Glass protection. You can even use the bundled scratch guard to protect the display. The smartphone is 144.6mm tall, which is slightly taller than most of the smartphones with a similar 5-inch screen, mainly due to huge bezels. It is 72mm wide, which is good for a phone with a 5-inch screen. 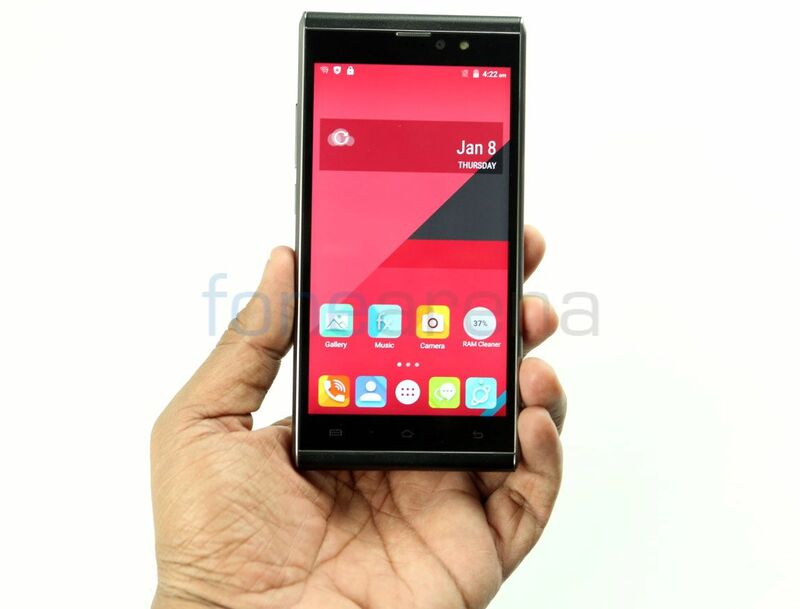 It has a 5-megapixel front-facing camera with LED flash, similar to the first BLACK smartphone. It also has the usual set of proximity and ambient light sensors on the top along with a notification LED that glows in red color. 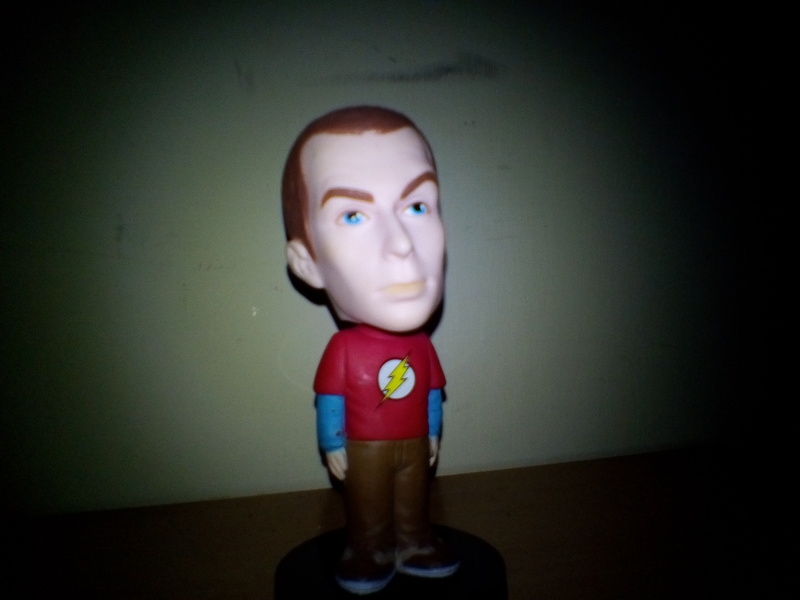 Flash on the front helps to brighten up the images and it even has face detection, but it doesn’t focus properly. It is decent for video chats and selfies. There are the usual set of menu, home and back keys below the screen on a black bezel. These are not backlit, but offer haptic feedback when pressed. 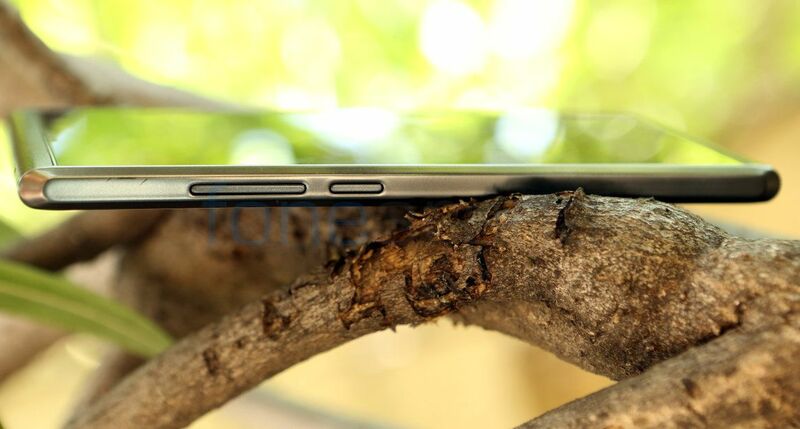 The smartphone is just 7.6mm thick and has a smooth metal frame, but it is prone to scratches easily. The volume rockers and the power buttons are present on the left side. 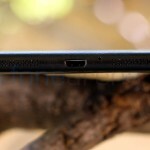 The micro USB slot is present on the bottom along with loudspeaker grill and a primary microphone. 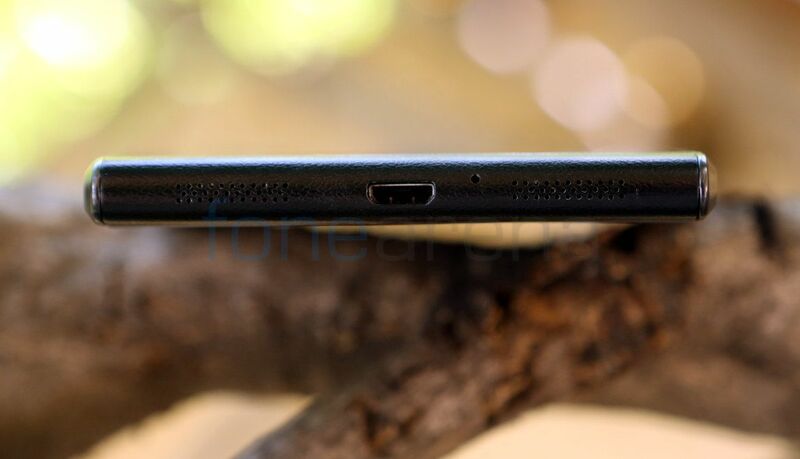 The 3.5mm audio jack is present on the top. It has leather-like finish on the top and bottom that gives it a premium look. Wish it had the same leather finish on the sides too. 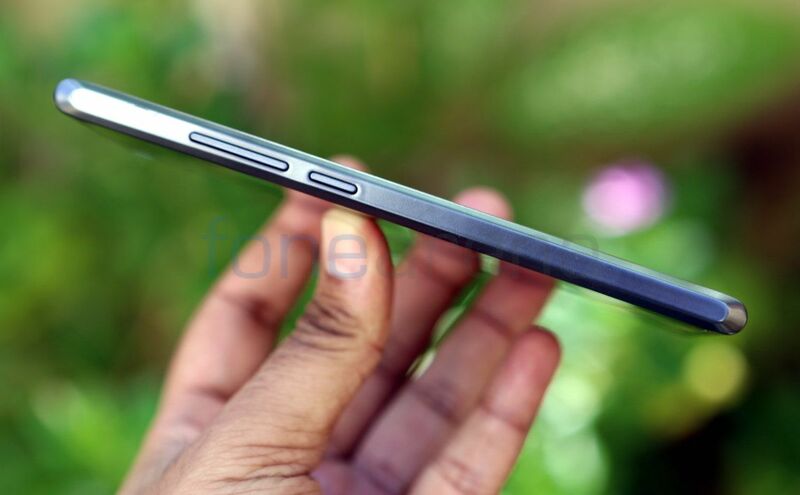 It has hybrid SIM / microSD slot on the right side that can be removed using the bundled ejector tool. 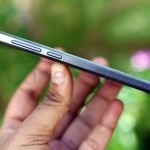 The primary slot accepts nano SIM cards and the secondary slot can take a nano SIM or a microSD card. It accepts cards up to 128GB. This might be a disadvantage for some who need both, but the phone comes with 32GB of internal storage, hence it is acceptable. 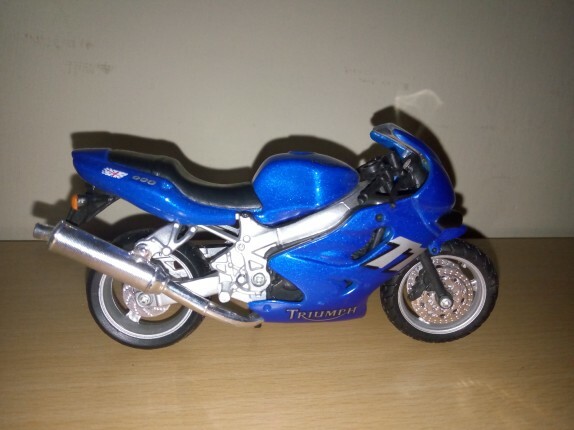 There is a 13-megapixel camera on the back with single LED flash. The back has fiber glass finish, but it is glossy and is prone to fingerprints. Wish Xolo had bundled a case with the smartphone. 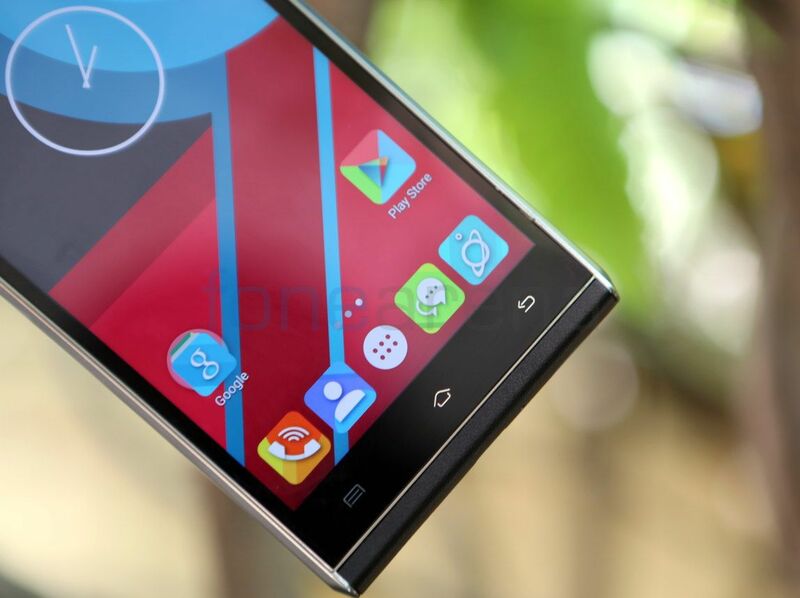 The phone weighs just 125 grams, which is good compared to other smartphones in the range. It packs a 2400mAh battery under the back cover, which is not removable. 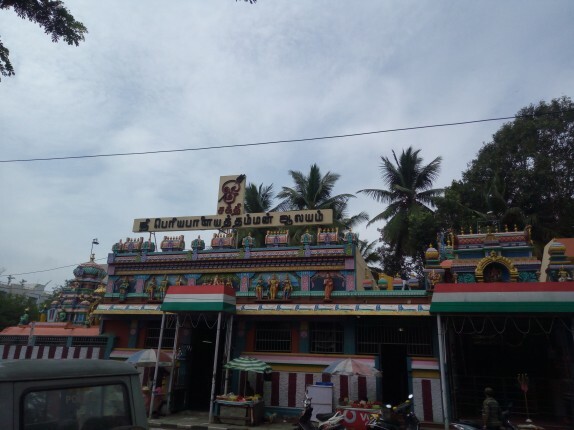 Overall the build quality of the smartphone is good. 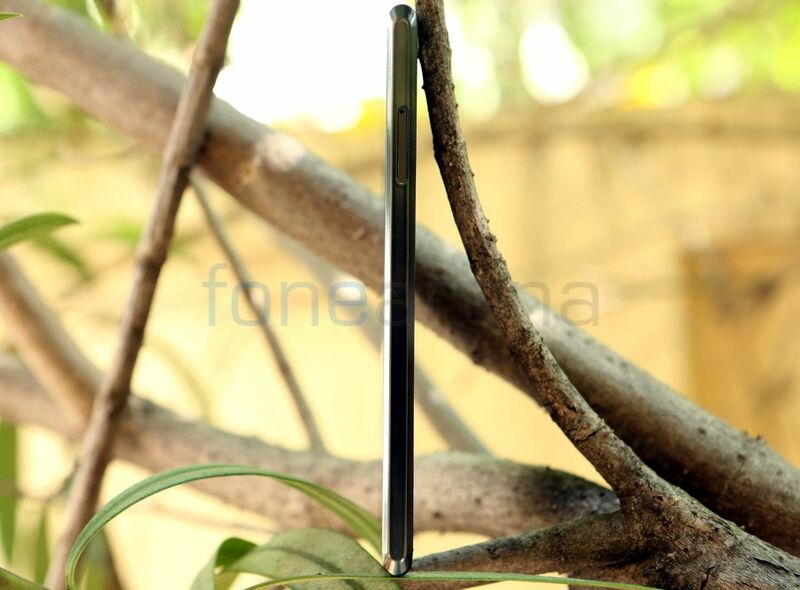 The BLACK 1X packs a 13-megapixel rear camera with single LED flash. It has f/2.8 aperture and uses Samsung 3M2 sensor. 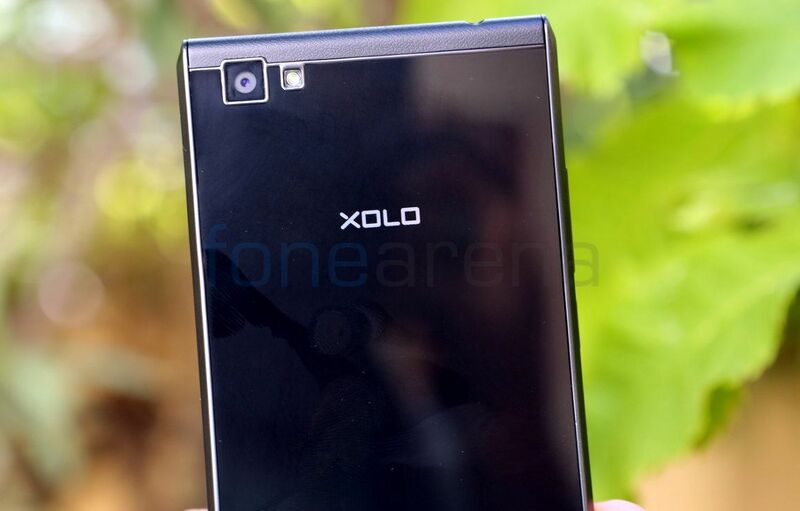 It also has phase-detection auto-focus (PDAF) that lets you focus in just 0.15 seconds, according to Xolo. It has a 5-megapixel front-facing camera with f/2.2 aperture. It has a familiar MediaTek camera UI with several modes like Live photo, motion tracking, panorama and multi angle view, different scene modes (Mono, Sepia, Negative, Posterize, Aqua, Blackboard, Whiteboard, Fresh, Movie, Calm, Memory, Gorgeous, Elegant and Cool). It also has gesture capture that captures images when two finger ‘V’ gesture is detected. 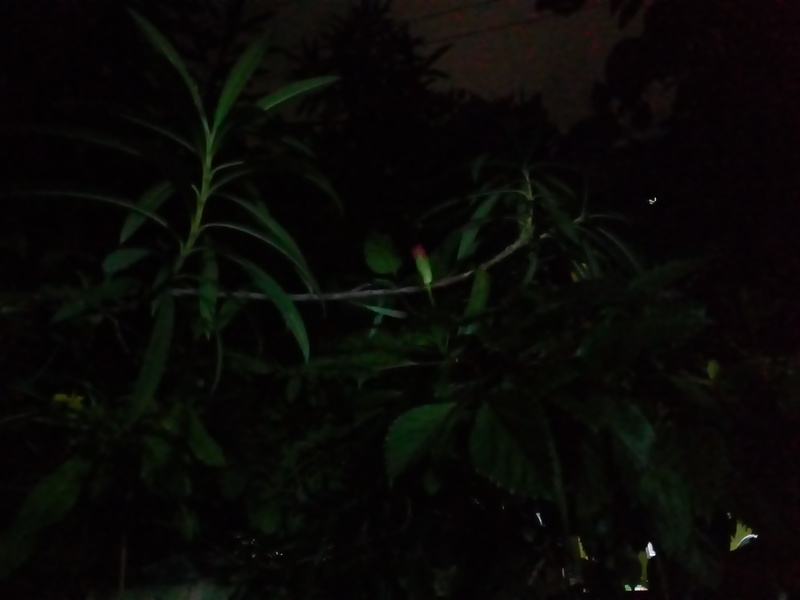 Coming to the image quality, daylight images are decent, but it’s not the best. 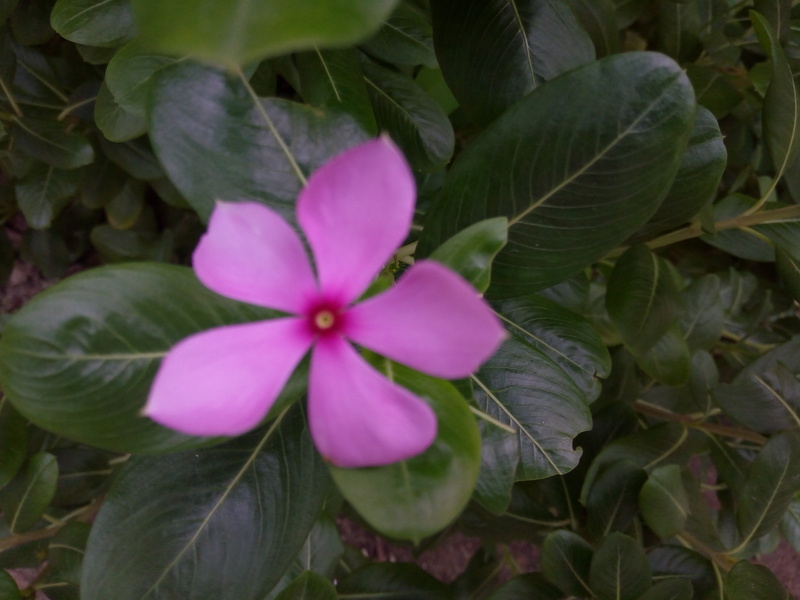 Since it has only f/2.8 aperture it doesn’t focus properly for macro shots. Thanks to PDAF it focuses quickly. HDR images are the best among the other modes that captures every detail in bright colors, but you need to keep the camera steady to prevent ghosting. Low light images are full of noise and doesn’t have any details. Flash helps in capturing images in low lighting conditions and is not overpowering. 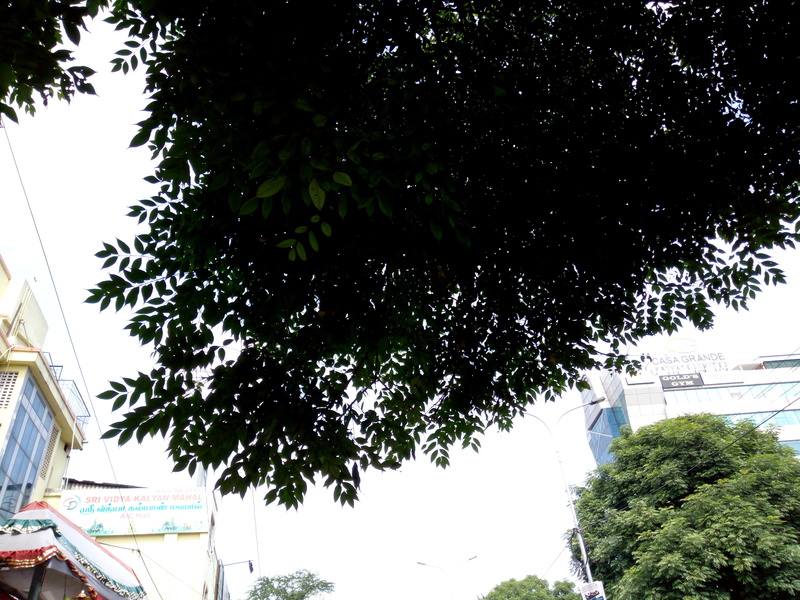 Overall, the camera is below average compared to other smartphones in the price range. Check out some camera samples below (click the image to view the full resolution sample). 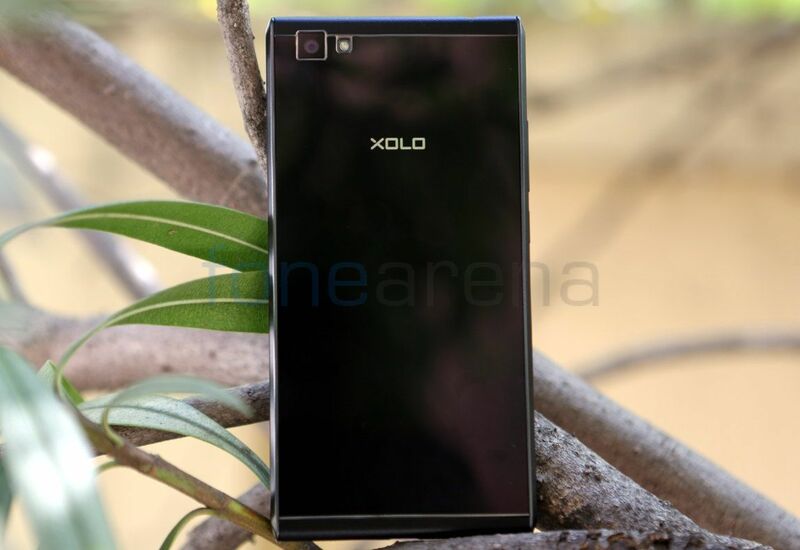 Check out the complete set of Xolo BLACK 1X camera samples here. It can record videos at 1080p resolution at 30fps. Video quality is good, but it keeps on focusing, spoiling the video. It also has EIS, which is software stabilization. Audio is not crisp since it lacks a secondary microphone. Check out the full HD sample below. 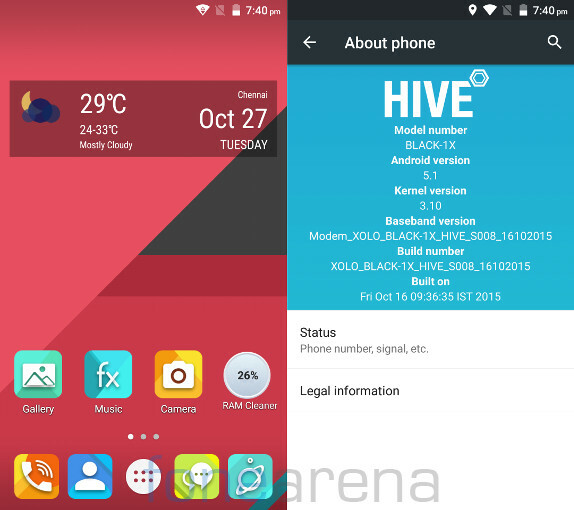 The Xolo Black 1X runs on Android 5.1 (Lollipop) with its own HIVE Atlas UI on top. At the launch Xolo said it will offer Android 6.0 (Marshmallow) update for the smartphone in future, but it didn’t provide any time frame for the roll out. Only the home and apps section have custom UI with custom icons, otherwise it is almost stock. So you can use any custom launcher, including Google Now launcher. You can launch the camera or dialer right from the lock screen. There is a Underground feature that lets keep your personal apps locked so that these can be accessed only using a secured PIN. Out of 3GB of RAM, you get 2.92GB of usable RAM, out of which 2.1GB of RAM is free when the default apps are running in the background. 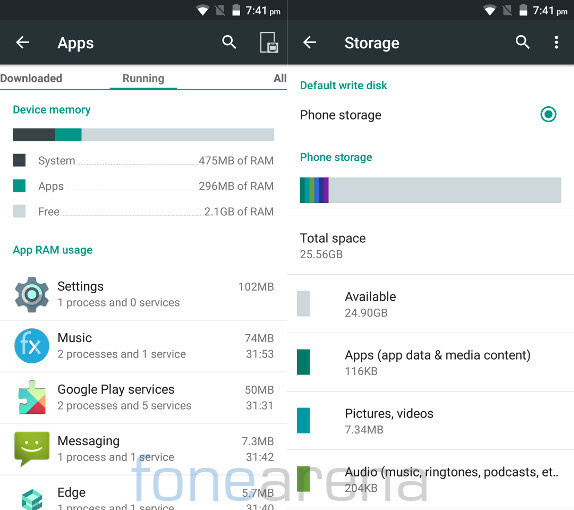 Out of 32GB of internal storage you get 24.9GB of usable storage out of the box. 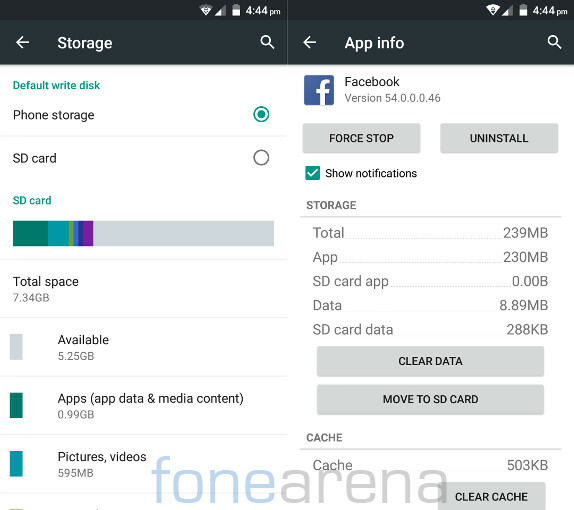 You can also select SD card as the default write disk and also move compatible apps to the SD card once you insert one. Apart from the usual set of utility apps and Google apps, the smartphone comes pre-loaded with Comet Browser that is powered by Opera, McAfee Security and some security and privacy tools. There are options on the bottom of the apps menu to arrange the apps in alphabetical order, arrange by the order the app has been installed or arrange by the type of the app. There is also a shortcut to launch Google Play Store easily. 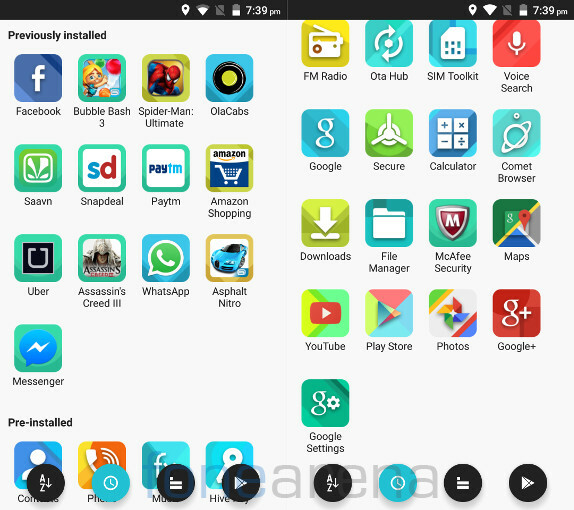 Xolo also lets you choose the apps you want to install during setup. 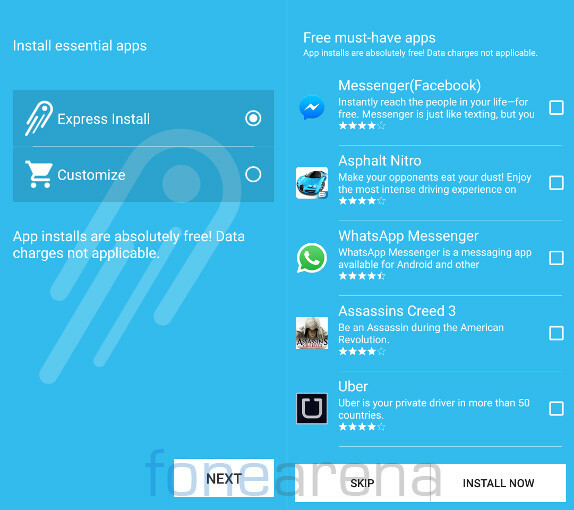 If you select express install during setup, all the apps will be installed automatically, but you can select customize option to choose the apps you want to install or skip if you don’t want any of these apps to be installed. Other companies should follow this instead of filling the phone with bloatware that cannot be uninstalled. The default fx music player has nice UI and plays most audio formats. You can enable equalizer from the settings and use Bass boost and 3D effect features when you are listening using earphones. 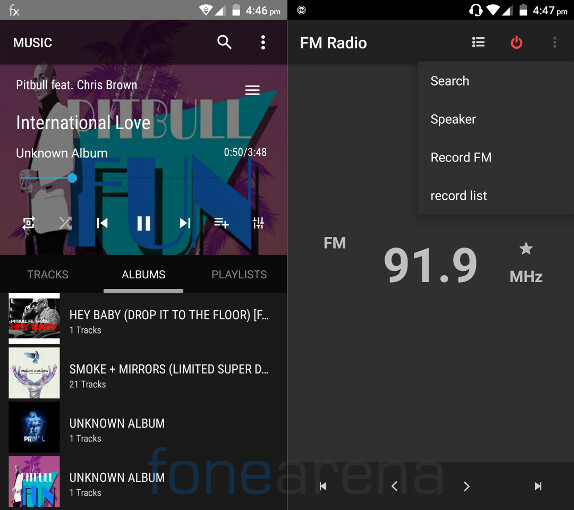 The FM Radio has default user interface similar to most MediaTek-powered phones, has auto search and audio recording too. Even though the phone has two grills on the bottom, the left one is the actual speaker grill. 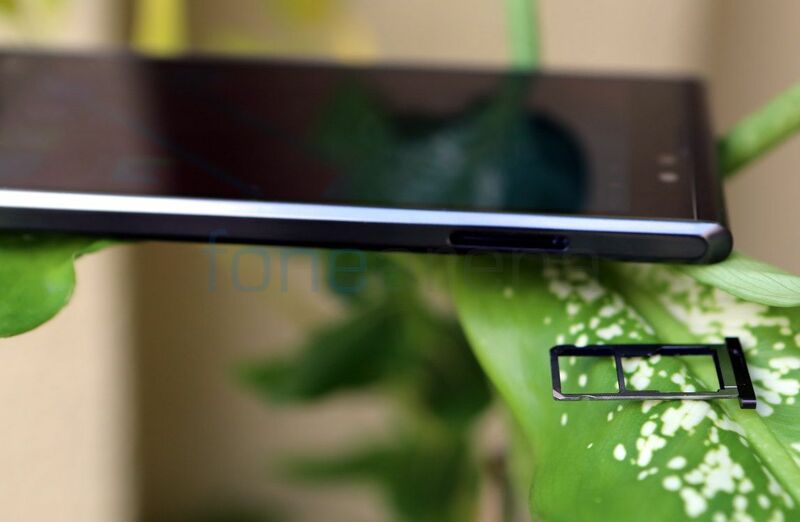 Since the loudspeaker is present on the bottom, audio doesn’t get muffled if you place the phone on a flat surface. Audio through the speakers is decent, but it could have been better. It doesn’t come with a headset in the box, but audio through third-party headset is decent. It can play 1080p full HD videos smoothly. It has SIM card manager that lets you select preferred SIM for data, calls and SMS. 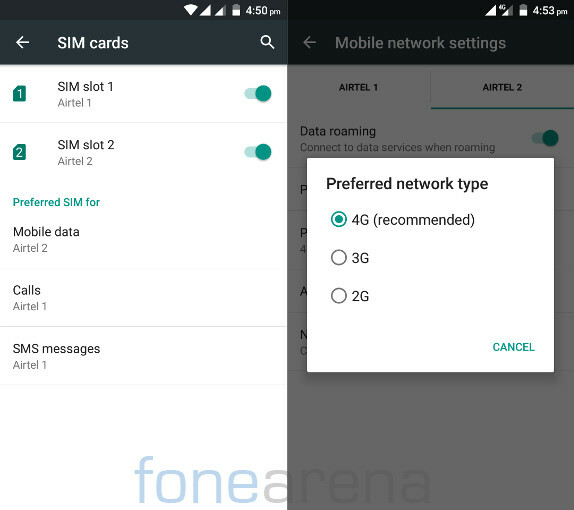 Both the SIM cards support 4G, including support for both 4G LTE bands (TDD B40 2300MHz and FDD B3 1800MHz) for India, but you can enable 4G on only one SIM, while the other is on 2G. Other connectivity features include Wi-Fi 802.11 b/g/n, Bluetooth v4.0 with A2DP and GPS. It also has USB on-the-go (OTG) support so that you can connect OTG pen drives easily. We did not face any call drops, but incoming calls did not work occasionally, which could be a software bug. Xolo should look into it and fix it soon. 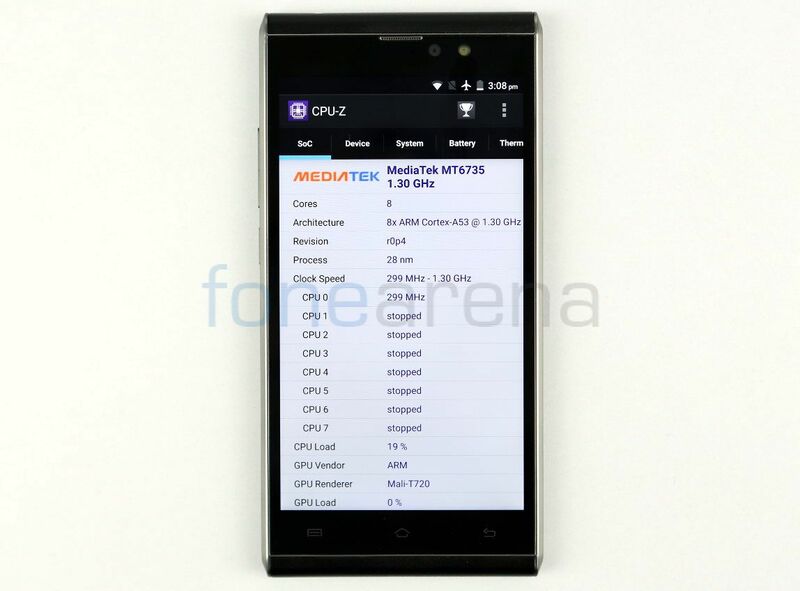 Coming to the performance, the Octa-Core 64-bit MediaTek MT6753 processor with eight ARM Cortex A53 cores clocked at 1.3 GHz per core offers good performance and 3GB of RAM handles multitasking well. It gets slightly heated on intensive gaming or 4G usage similar to most other smartphones, but it doesn’t get too hot to handle. 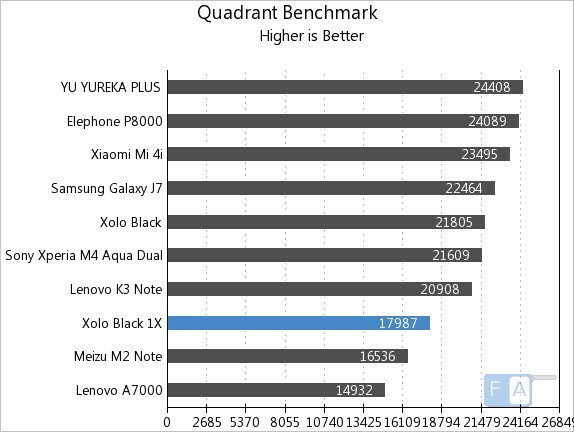 Check out some benchmark scores below. It scored 17987 points in the Quadrant Benchmark. 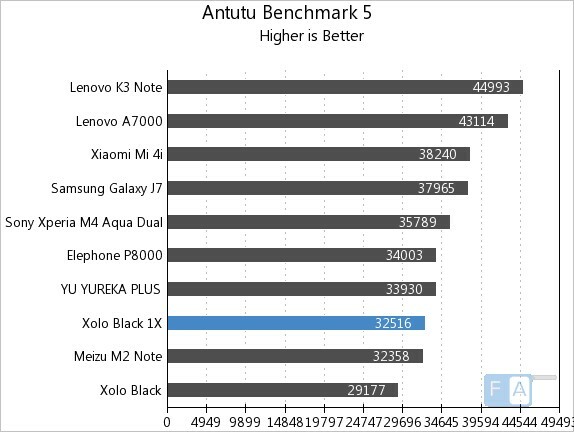 It managed to score 32516 points in the AnTuTu Benchmark 5. 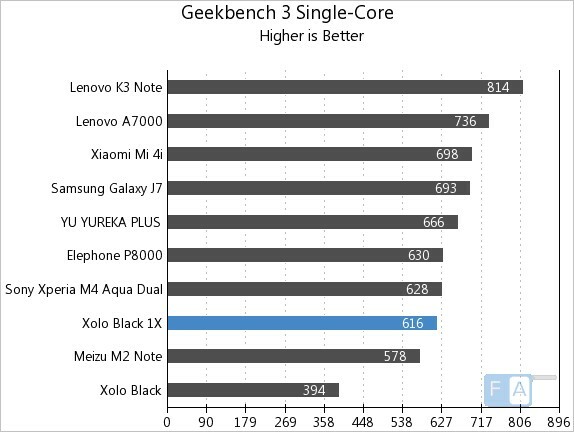 It managed to score 616 points in the Geekbench 3 Single-Core benchmark. 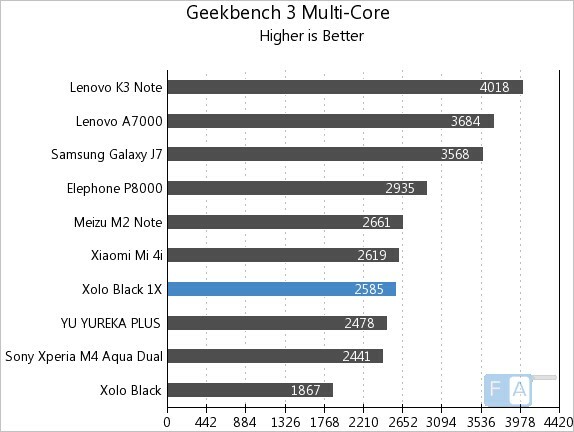 It managed to score 2585 points in the Geekbench 3 Multi-Core benchmark. 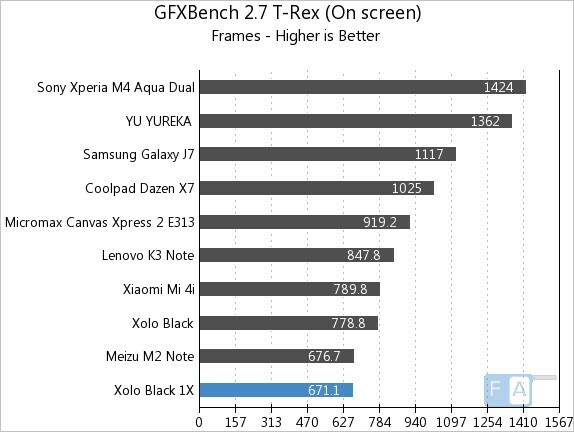 It managed to clock 671.1 frames or around 11.18 fps in the GFXBench 2.7 T-Rex benchmark. 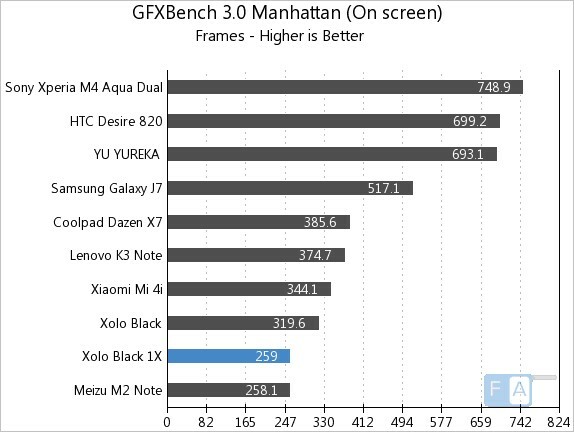 It managed to score 259 frames or around 4.31 fps in the GFXBench 3.0 Manhattan benchmark. 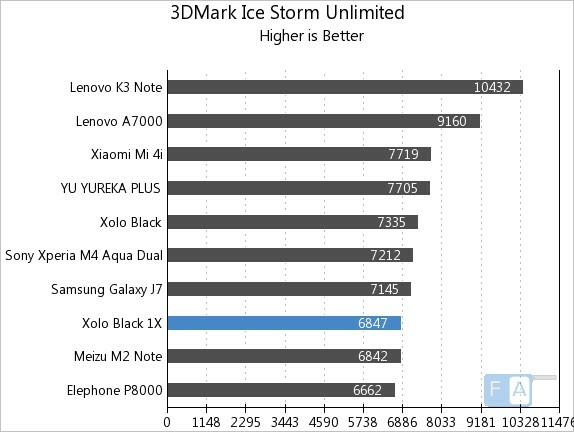 It managed to score 6847 points in the 3DMark Ice Storm Unlimited GPU benchmark. It has a Mali T720 GPU. Gaming performance was good and graphics was decent too, but it is not the best. It doesn’t support USB or PS3 controllers. Coming to the battery life, the 2400mAh battery is just average. It lasts for less than a day with mixed use, including 4G usage, video playback, few hours of music, few calls and some gaming with both the SIM cards enabled. You can also use the standby power saving mode to extend the battery life to a certain extent, since it limits the CPU use when the phone is idle. 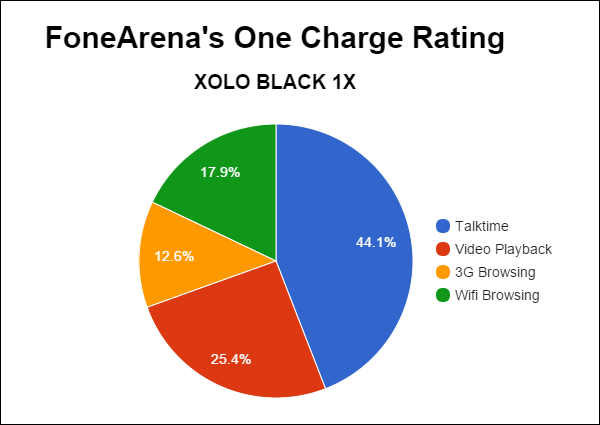 In our battery test, the Xolo BLACK 1X achieved a One Charge rating of 6 hours and 58 minutes, mainly due to good talk time, otherwise the battery life is not impressive compared to other smartphones. Check out the complete set of battery life test results here. 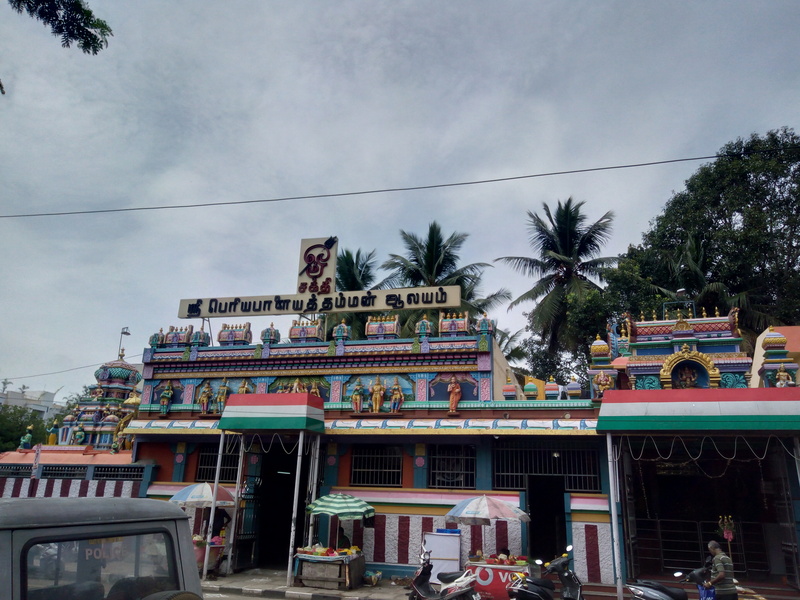 At a price tag of Rs. 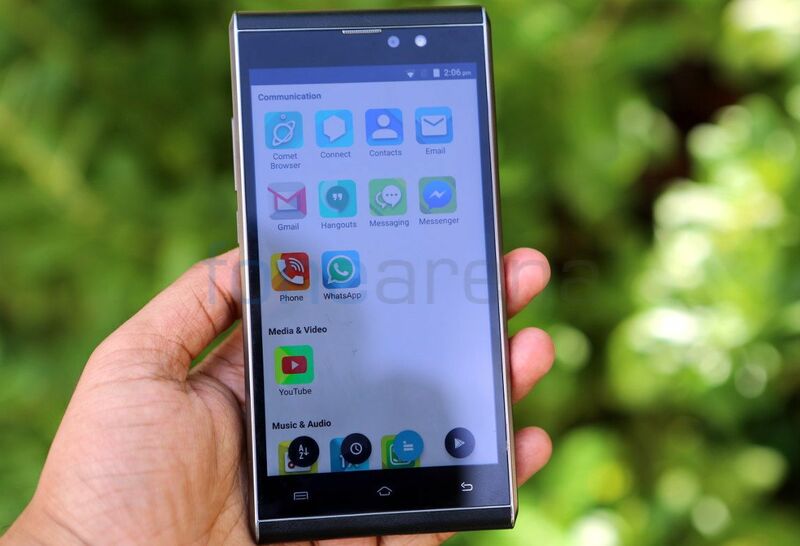 9,999, the Xolo BLACK 1X is a decent smartphone, but it is not the best compared to other smartphones in the price range. Even though it has a good display and offers good performance along with 3GB of RAM, the camera is below average and the battery life too is average too. 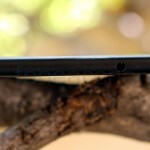 When most smartphones come with dedicated SIM slots, Hybrid SIM might not impress everyone looking for a dual SIM phone. At least this comes with an expansion slot as an option along with 32GB of internal storage compared to phones with just 16GB of internal storage without expansion slot. 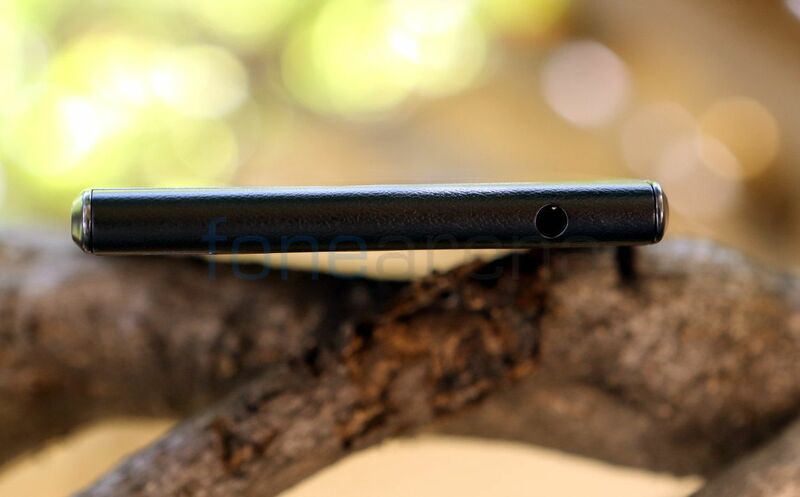 The Xolo BLACK 1X faces a tough competition from the Coolpad Note 3 that also comes with 3GB of RAM. But The Coolpad Note 3 has a fingerprint sensor and also offers better battery life at a cheaper price of Rs. 8,999. You should also look into other smartphones like the Meizu M2 Note, Lenovo K3 Note, YU YUREKA Plus and Xiaomi Mi4i when you are looking to buy a smartphone in the similar price range. The phone will exclusively be available through flash sale starting from tomorrow on Snapdeal. To summarize, here are the pros and cons of the smartphone.